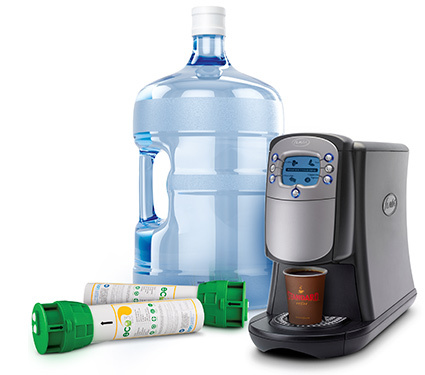 One of the nation's leading operators in the U.S. Home and Office Beverage Delivery market, DS Services of America, Inc. offers millions of customers bottled water, water filtration and coffee and tea services via a full portfolio of great American brands. DS Services, also a Top 5 Office Coffee Service Company and Top 5 Water Filtration Services provider in the United States, has acquired an impressive assortment of regional brands that include Alhambra®, Belmont Springs®, Crystal Springs®, Deep Rock®, Hinckley Springs®, Kentwood Springs®, Mount Olympus®, Sierra Springs® and Sparkletts®. National brands under the DS Services umbrella include cause-related Athena® water, Nursery® water, a leading bottled water for babies and toddlers, Standard Coffee® and Relyant®. Every day, in countless homes, offices and workplaces across America, people enjoy the products and services of DS Services. We've recently expanded our service portfolio to include Standard Coffee® products, coffee and tea services, and Relyant® water filtration and beverage equipment services. Today, DS Services is widely recognized as one of America's Beverage Program Experts.